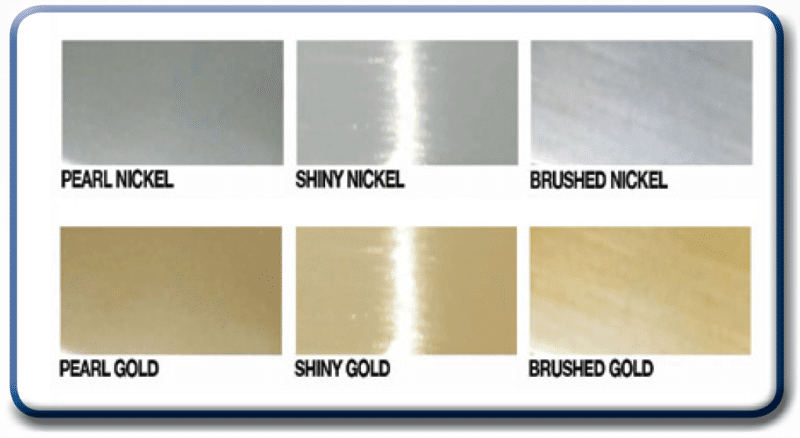 Zinc alloy key fob w/ shiny nickel or brushed nickel finish, Shiny. Leather or leatherette material. Material can be different colors. This series of custom key tags feature a heavy duty steel split key ring that strongly holds the keys together. The split rings are available in 2 different sizes. An optional mini split ring is also available for attaching to smart keys, keyless entry & remotes. This is a good key holder for those who prefer the look and feel of a leather key fob, and have a simple rectangular logo to showcase. Promotional dealer keychain shown. Let us create a custom 3D design with your logo. Wholesale bulk only. Not for retail. Many car dealers and dealer groups buy our custom leather keychains in bulk, and give two away with each new and used car sale. 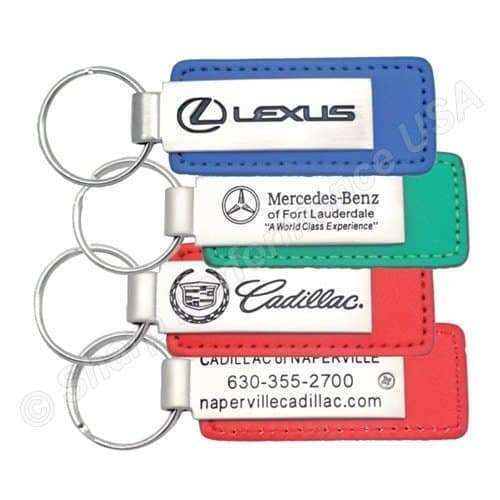 For car dealerships, handing out a custom car keychains with the company information is a marketing must do. 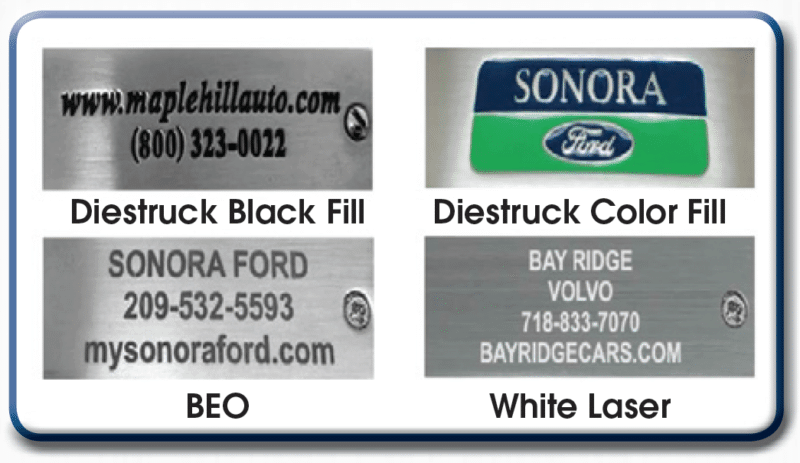 It is an inexpensive way to keep your company name and phone number proudly displayed on a gift your customers will use everyday!